July is a great month for smile creation on Clipper Cove. 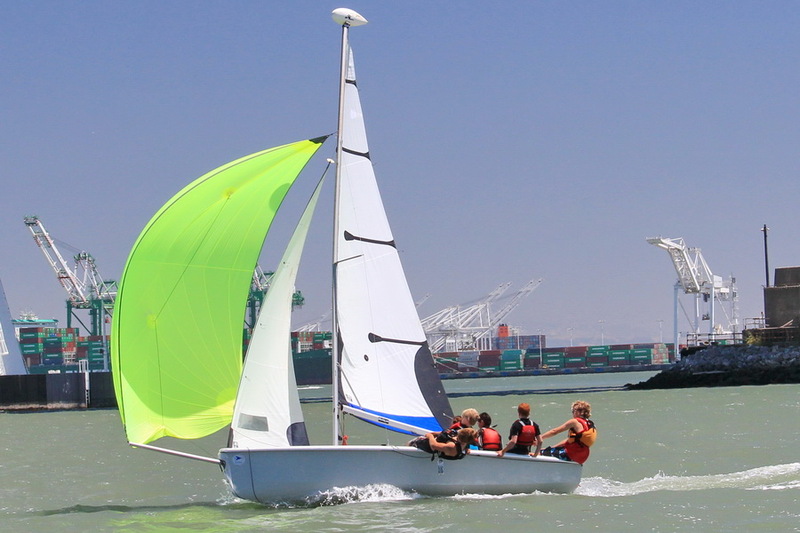 School is still over the horizon, the skies are bright blue, and afternoon winds fill sails and create smiles. With three weeks of summer classes to go kids are charged. And TISC instructors are leading the enthusiastic parade. Mother Nature has been on best behavior (for the most part). 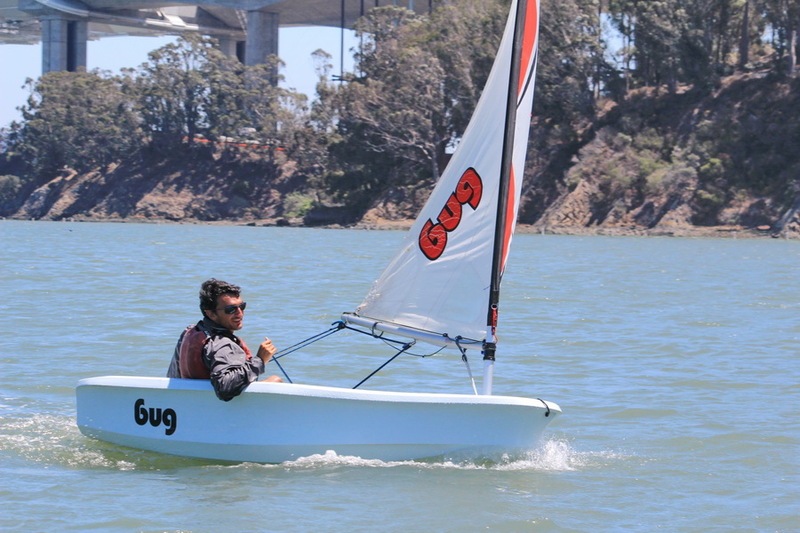 Our younger sailors start in Bugs. Classes are structured to focus on goal setting and building confidence from day one. 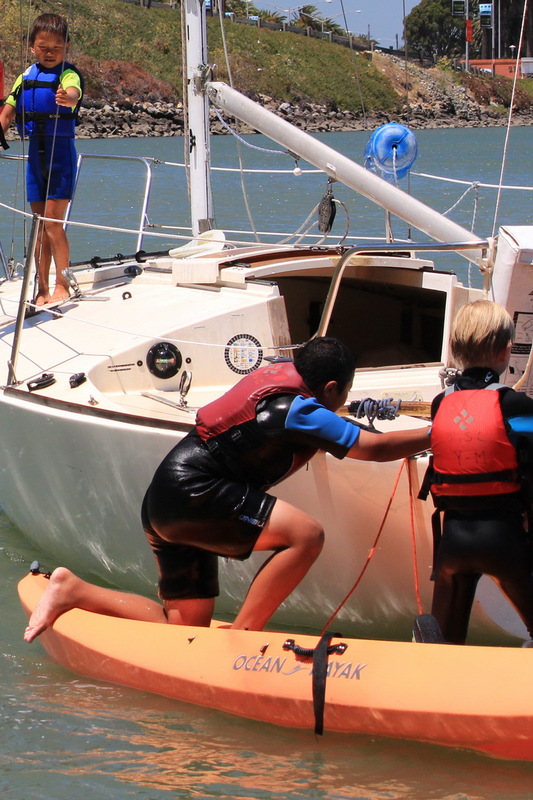 Many kids think capsizing drills are “just the best”. 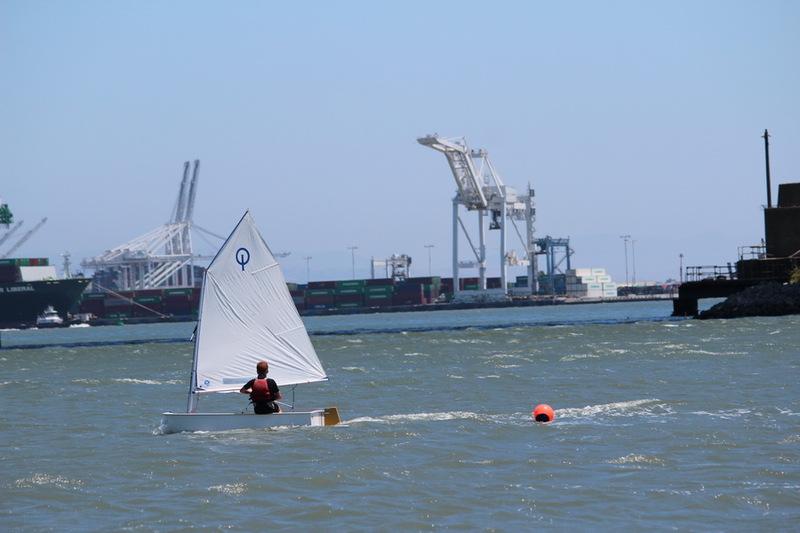 Classes progress into Opti’s. 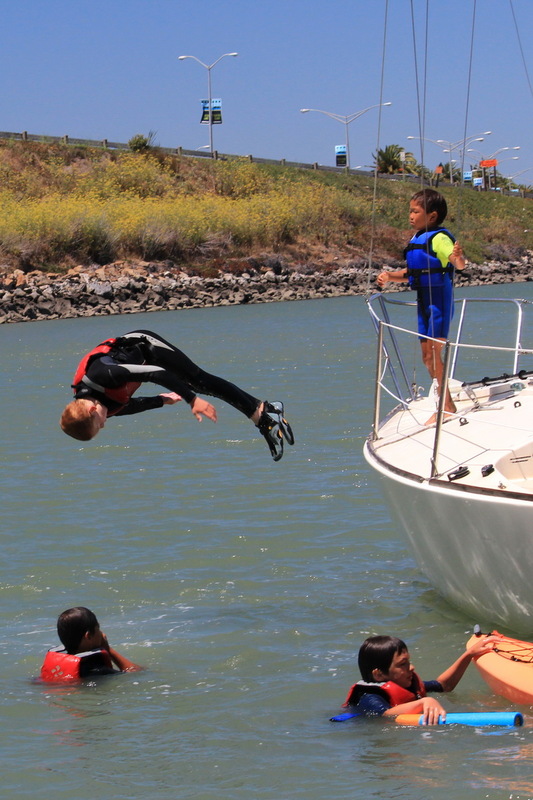 This is where kids begin to really figure out the winds on Clipper Cove. 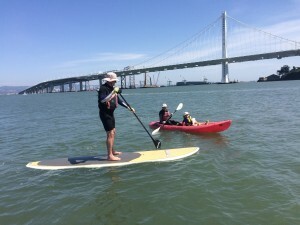 Those who have mastered all points of sailing are allowed to venture past the eastern end of the cove between Pier 1 and the new Bay Bridge Tower. 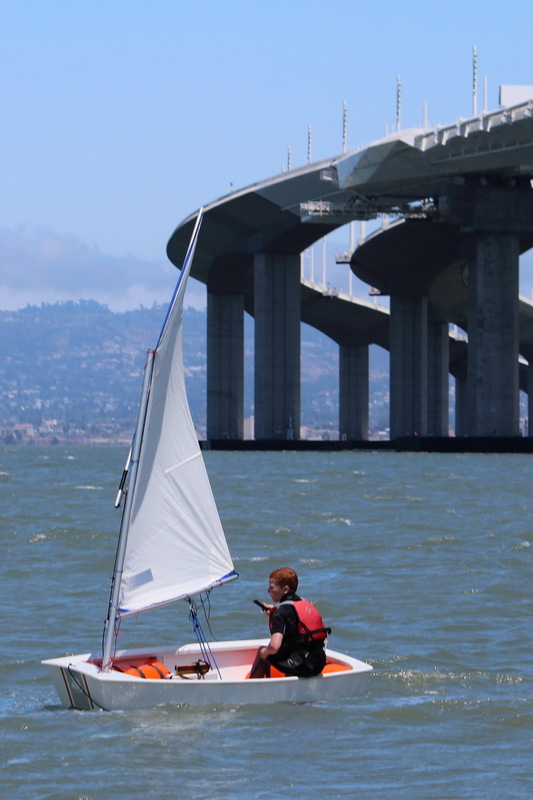 Advanced students who sail here benefit from stronger winds and the ability to recognize “tide lines” and learn more about the currents which can be very strong in the deeper water in this area. 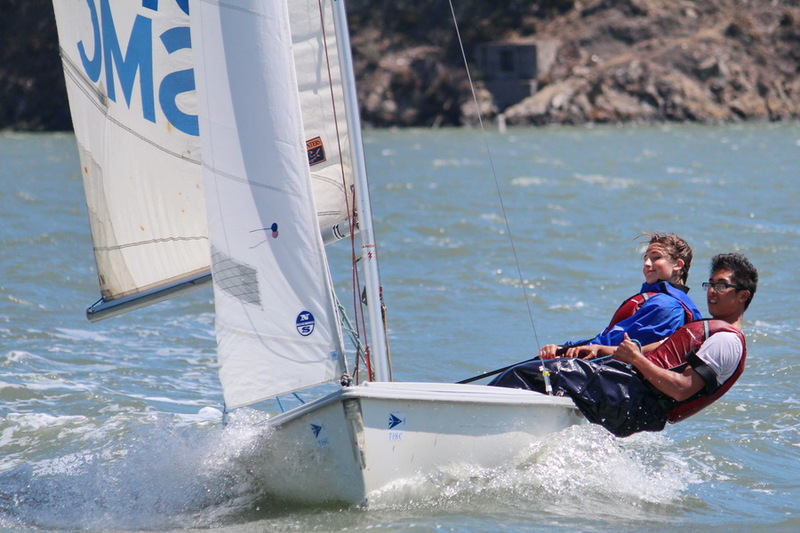 Youth sailors utilize our FJ fleet to prepare for regional regattas. 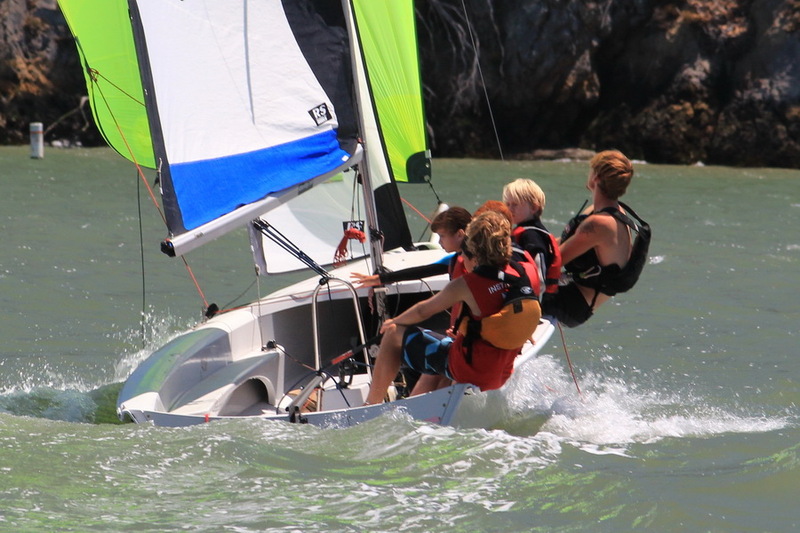 This class is also popular with many colleges and we use them for our Envision Academy Sailing Team (E*A*S*T). 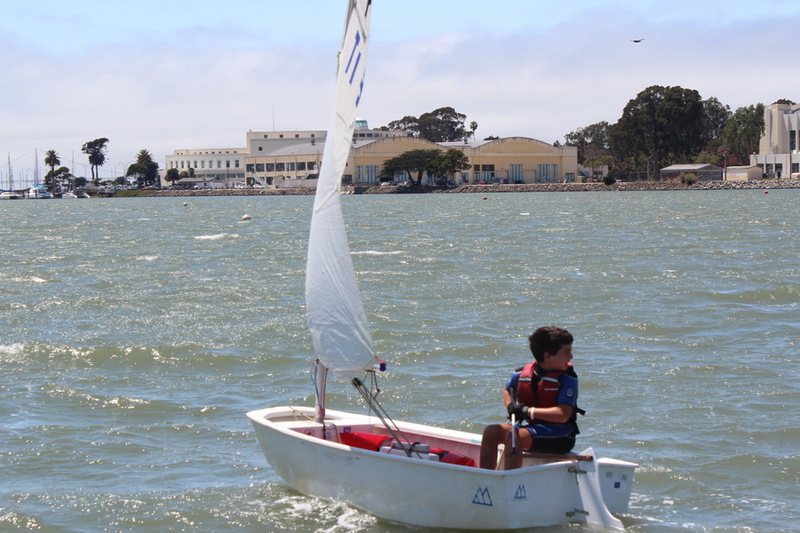 No surprise to anyone familiar with youth sailing that fun Friday’s are a big hit with all ages. This is when skills learned during the week get parlayed into games of all types. 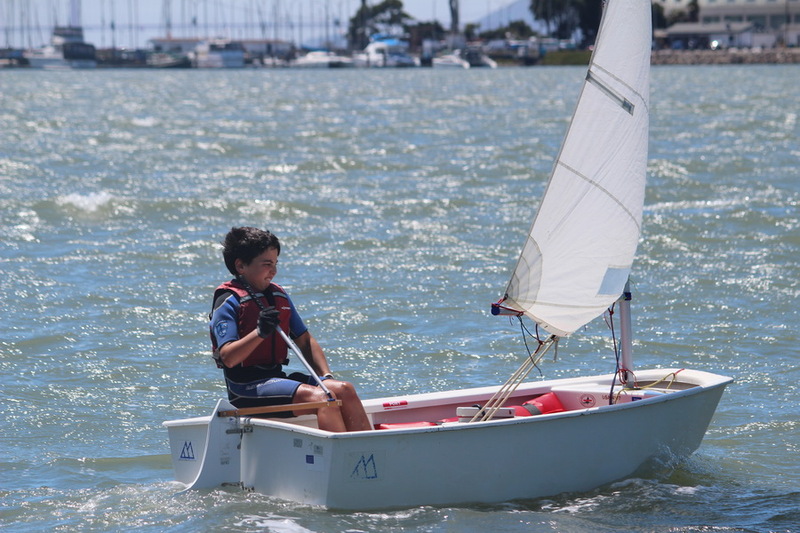 As our sailors “mix it up” with each other and in different craft on these free-form Friday afternoons, it’s clear their skills have progressed over the course of their one or two-week sessions. 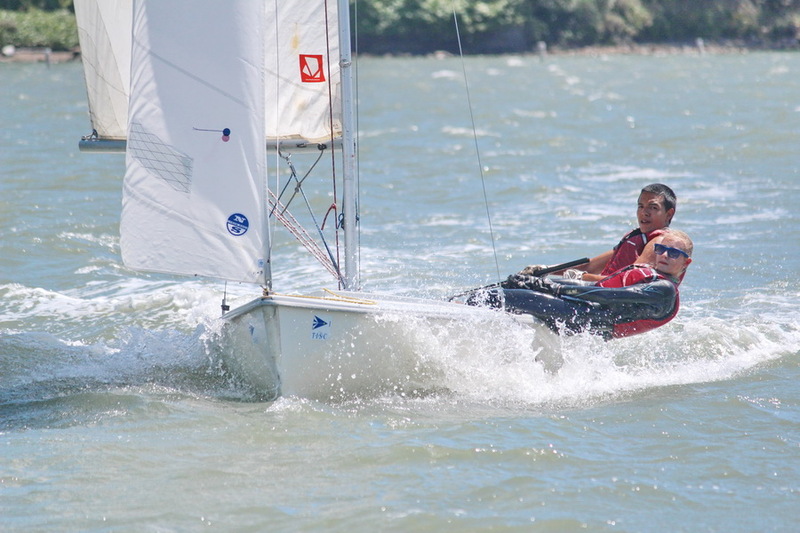 They test the limits of the boats, weave in/around each other with ease and display advanced helmsman-ship. 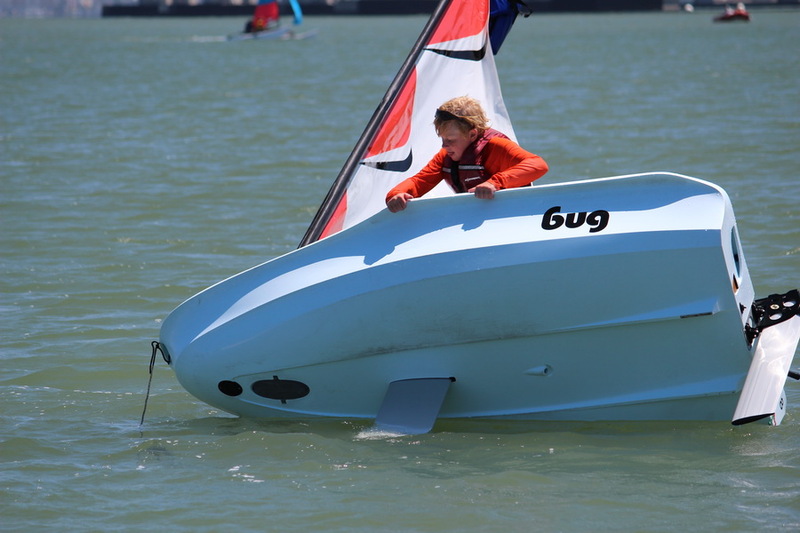 Self-esteem runs high with confidence not only on the boats but also in and around the water. Teamwork abounds. As skipper and crew on boats. 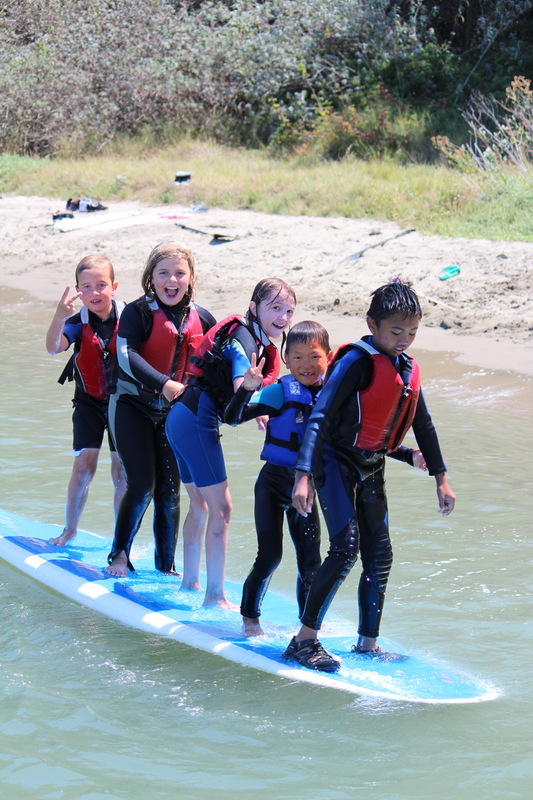 During water play on stand-up paddle boards (SUPs to some). 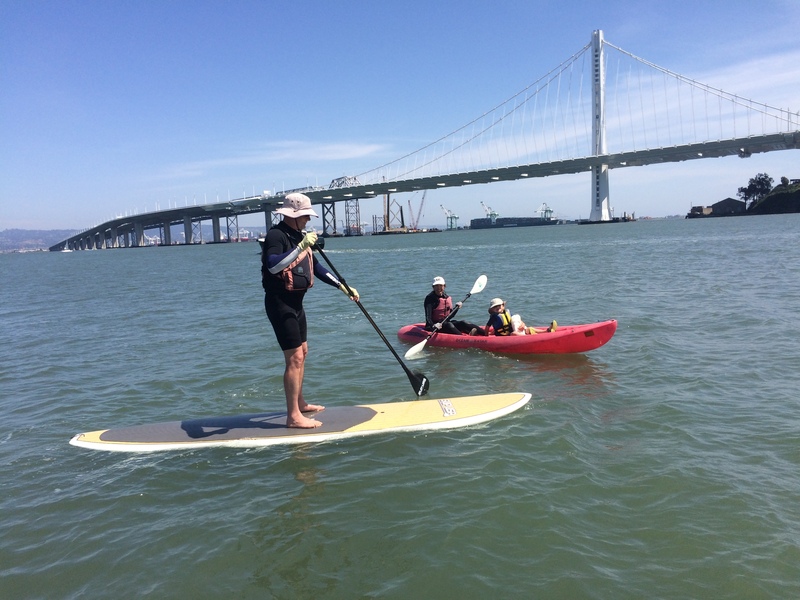 Here is a 17 second video of energetic “TISC SUP Dancing on Clipper Cove“. 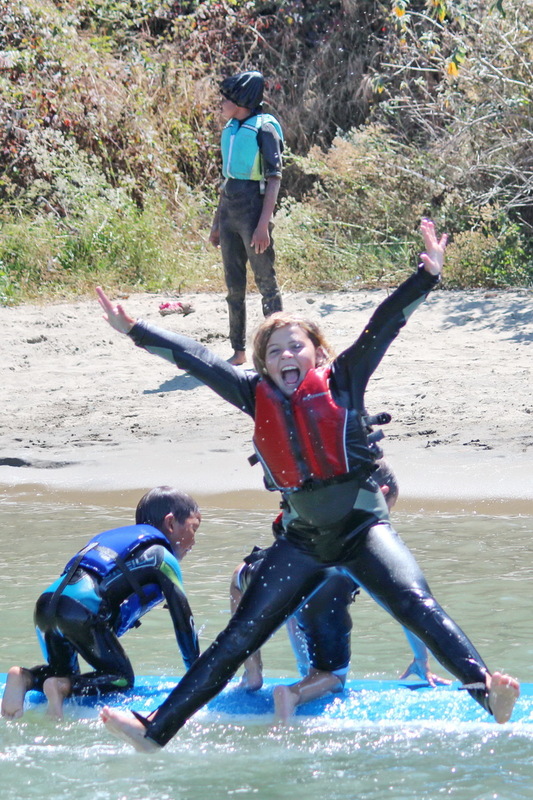 And another of “TISC Kids Dancing on the Beach in their PFDs“. And working together providing taxi service around Clipper Cove. Or just figuring out the best way from water to J/24 jumping spot. Which of course is where one jumps ! 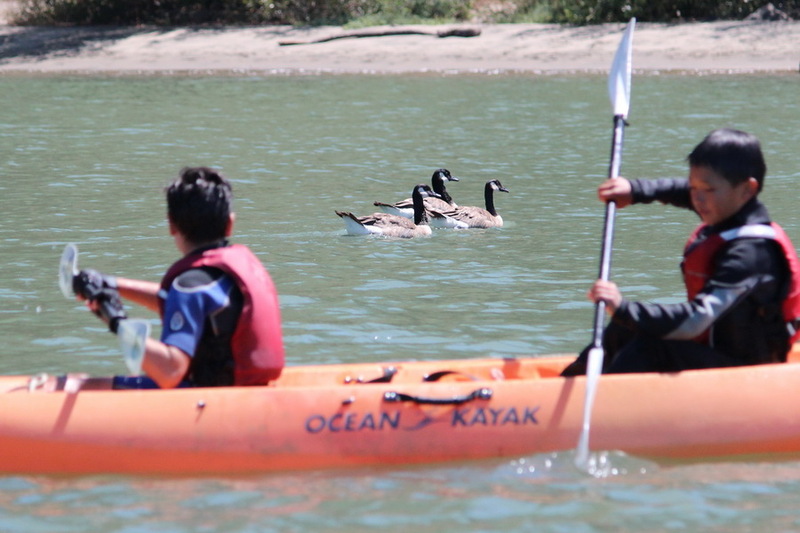 The safety and serenity of Clipper Cove is hard to beat no matter how you are paddling around. Even if you flew in for the day. 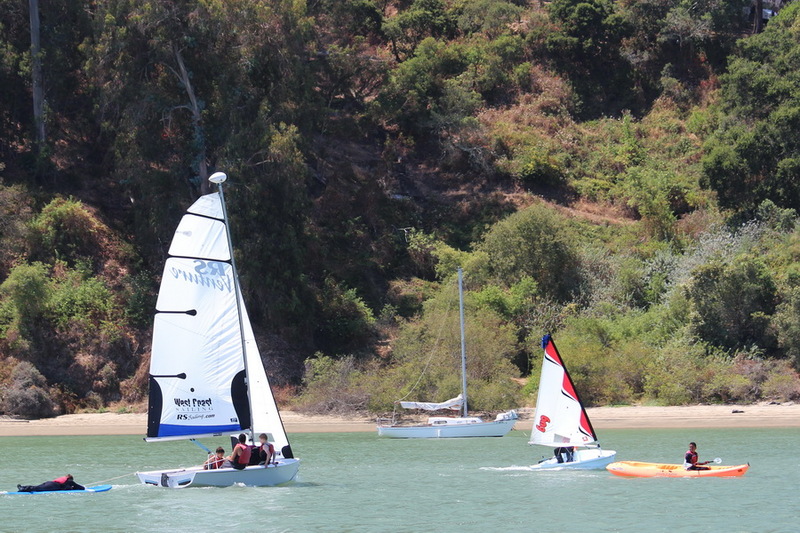 Blue-sky sunny days also make for fun times in our RS Ventures when powered up with asymmetrical spinnakers. 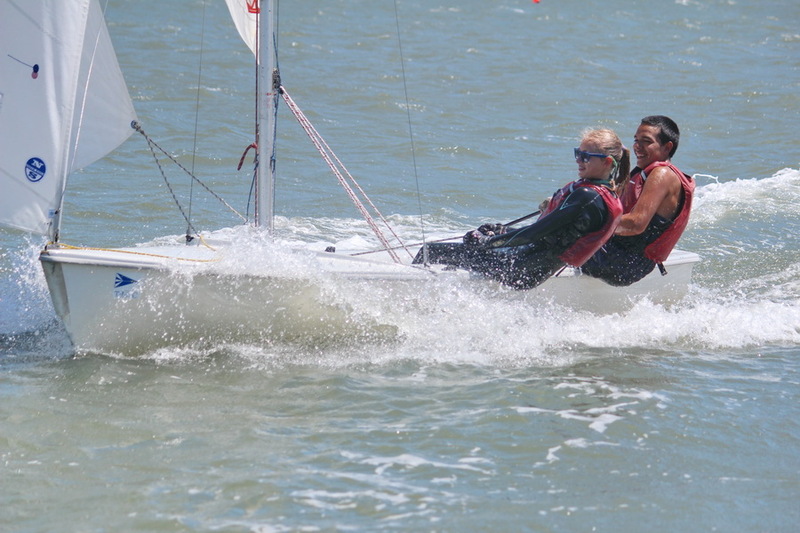 More “high speed” bonding opportunities for instructors and youth. 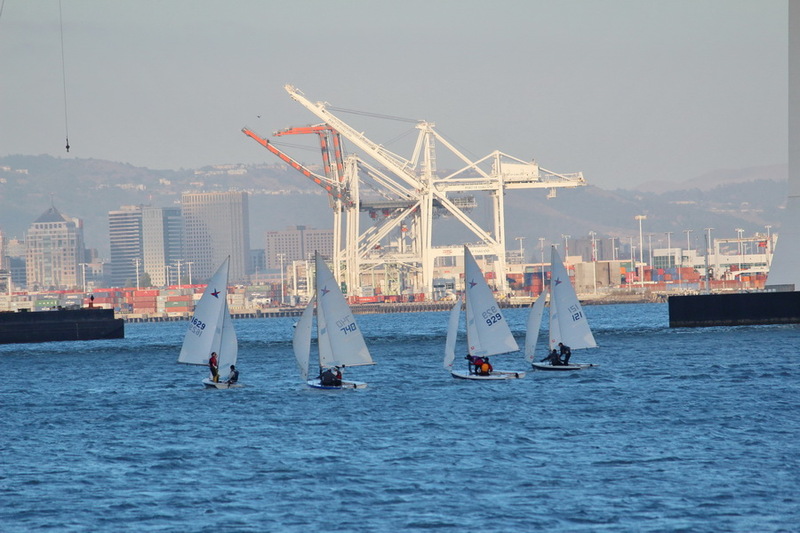 The new Treasure Island Sailing Center registration page is now on-line. Plenty of time left to sign up for one or more sessions that run through the middle of August. 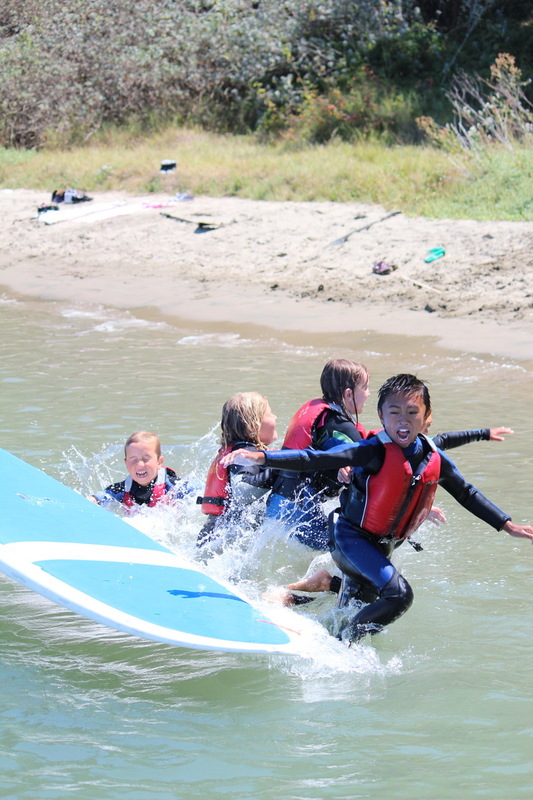 Clipper Cove is not just for kids ! Tuesdays and Thursdays are V15 racing nights on the cove. 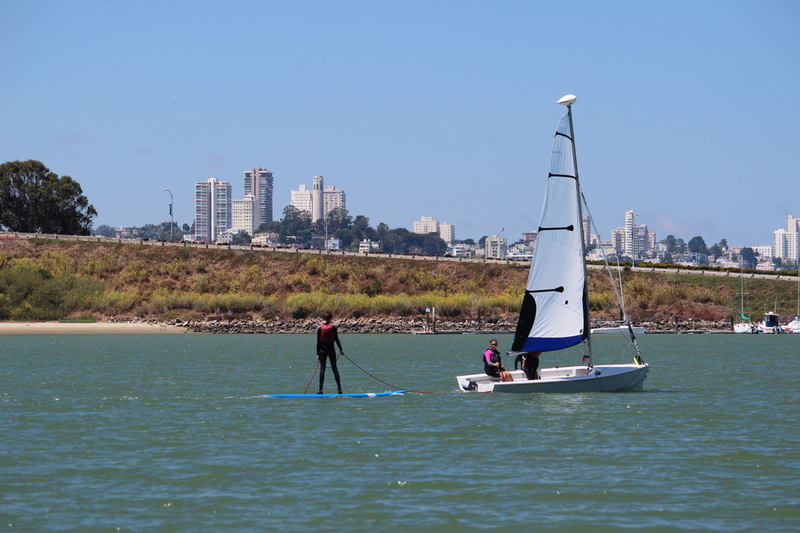 Anyone wishing to try their hand at more advanced levels of sailing can do so here on Clipper Cove. And there are plenty of opportunities for everyone in the community to enjoy water-play of all kinds here on Clipper Cove. 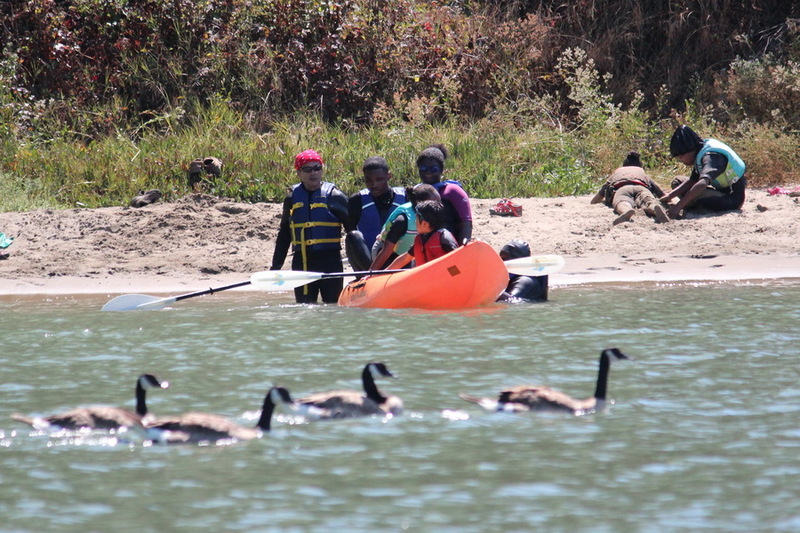 Register here for kayaking and stand-up paddle boarding. Clipper Cove can also be a place to relax especially in the morning when the beach is quite and the winds still sleeping.